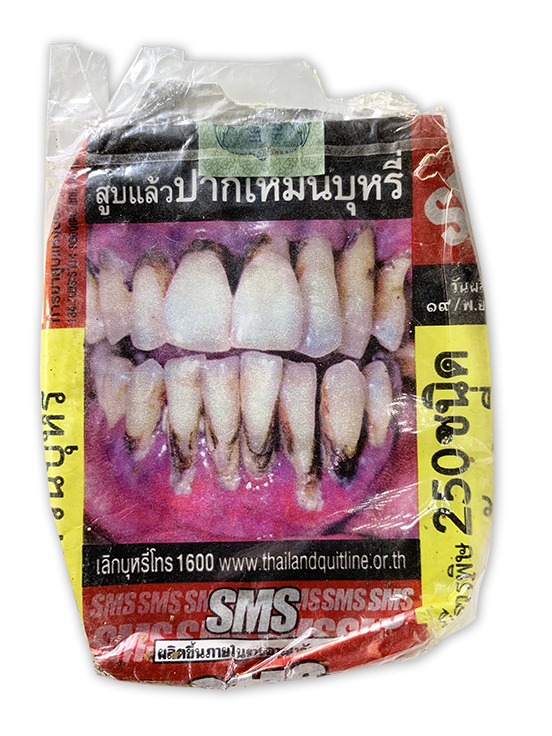 Walking the streets of Bangkok, there is hardly any litter. But occasionally you see a flattened empty cigarette packet. After seeing one with the most horrific photograph on it, I started collecting them. 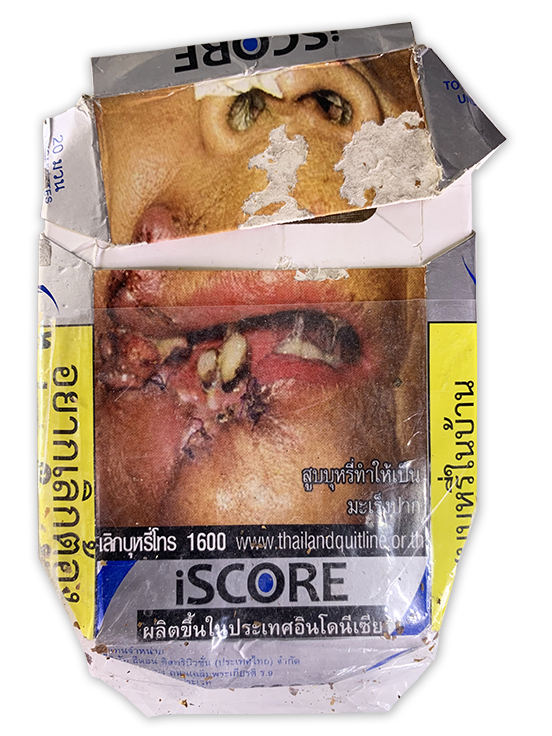 Smoking in Asia is rampant, how it was here in Britain and America twenty years ago. They don't smoke in public buildings or on transport (can you remember that? the tube trains thick with smoke!!) - but you'll see crowds outside hotels, and those smoking rooms at airports. They also hold cigarettes differently, their hand held palm-towards-face, the cigarette sometimes between the middle two fingers. 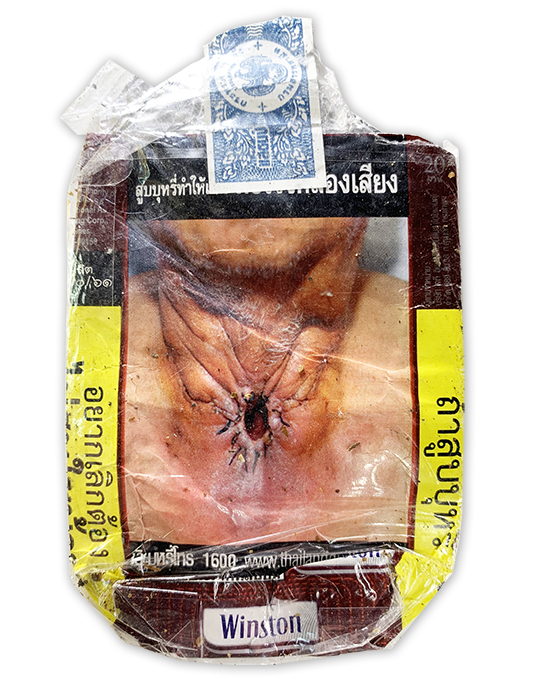 The photographs of Hell are the result of the World Health Authority Framework Convention on Tobacco Control: "every person should be informed of the health consequences, addictive nature and mortal threat posed by tobacco consumption". Thailand is a signatory. 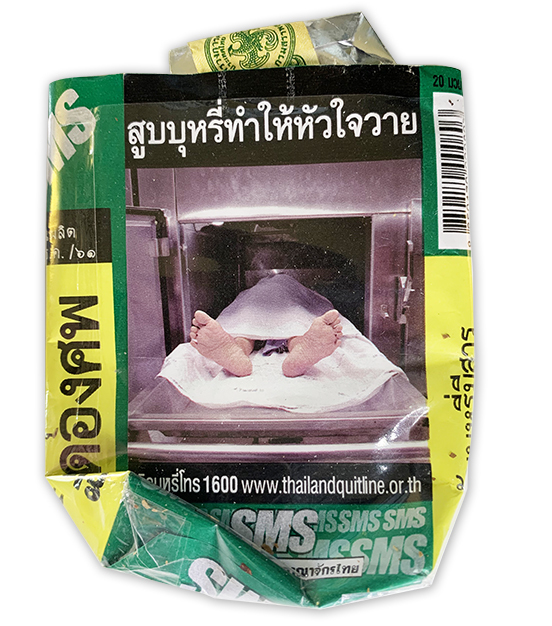 Article 11 suggests a "large health warning" covers a recommend 50% or more of the packet. 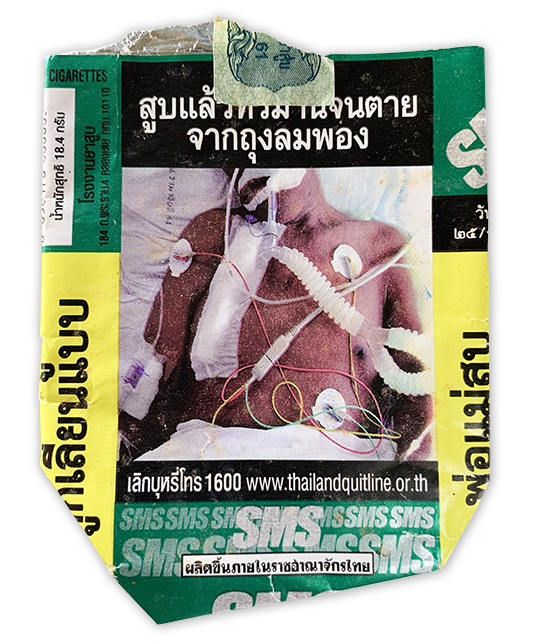 "Evidence shows that health warnings and messages that contain both pictures and text are far more effective than those that are text-only ... [and they] increase motivation and intention to quit ... Pictorial health warnings and messages may also disrupt the impact of brand imagery on packaging and decrease the overall attractiveness of the package." Why so many different images? "The novelty effect of new health warnings and messages is important, as evidence suggests that the impact of health warnings and messages that are repeated tends to decrease over time, whereas changes in health warnings and messages are associated with increased effectiveness." Then I stumbled upon a very different packet. For those that know anything about Chinese visual culture, this packet pulls out all the stops. 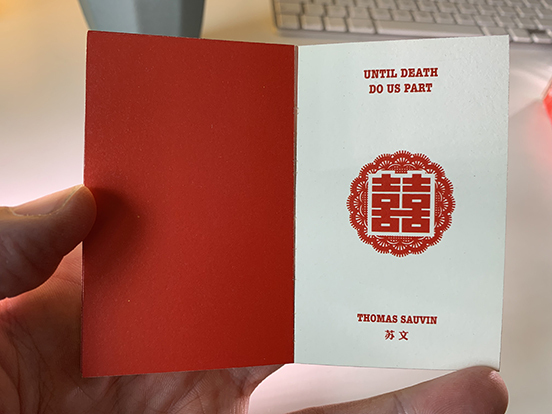 It is red, the colour of money and good fortune and of the Chinese flag. Gold is a close second to red. 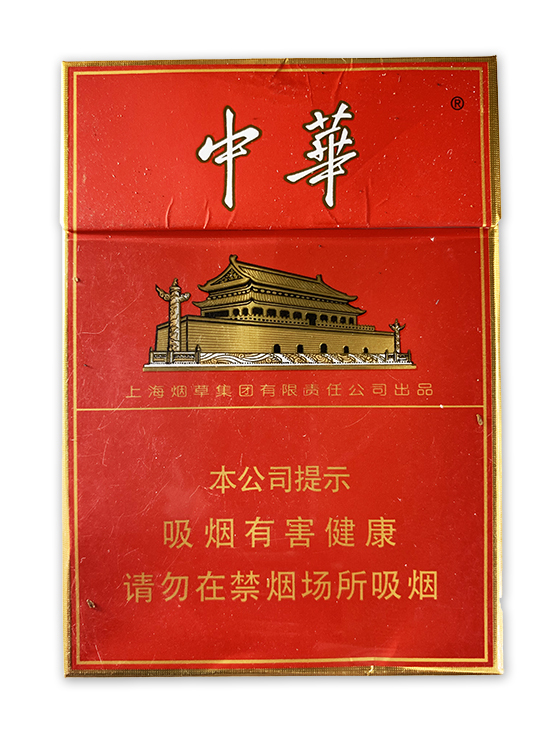 The front shows an image of Tian'anmen, the Gate of Heavenly Peace, it is the entrance to the Imperial Palace, the point from which Beijing extends outwards in a series of squares, quite literally the centre point of the Chinese world. It makes a big features of the two marble columns outside, making them far larger than they are in proportion to the gate. Can it be because the columns are tall and cylindrical and white? On top of all this, the most significant way that value is conferred on the packet is the brand name: Chunghwa: the name for China itself. If smoking is generally popular in Asia, it is more than that in China, "Nearly three-quarters of all Chinese men are smokers ... Smoking could eventually kill a third of all young Chinese men if nothing is done to get them to drop the habit, according to the largest ever survey of tobacco use ... Two landmark studies involving 1.25m Chinese people show that [as of now] China has the largest number of smoking-related deaths in the world." So far the medical information that has done so much to reduce smoking elsewhere has yet to reach the ordinary Chinese: "Surveys showed two-thirds of Chinese people think smoking does little or no harm, 60% think it does not cause lung cancer and 96% do not know that it causes heart disease." In fact, it is rather the opposite. 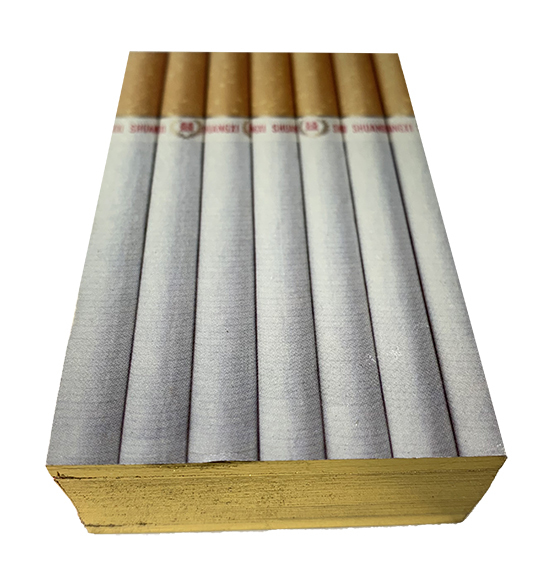 Cigarettes are a symbol of wealth. This is from China Daily, one of the Communist Party newspapers: "Serving a cigarette is good manners. 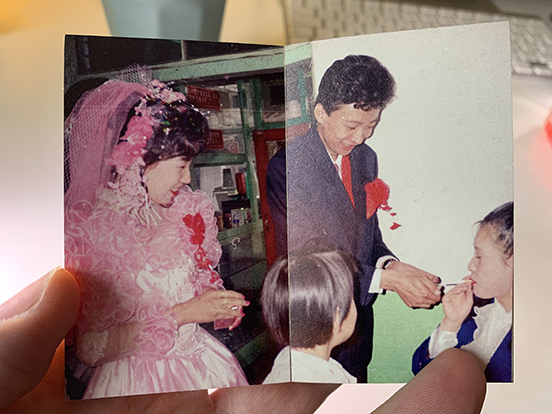 When we meet our boss, we serve a cigarette to him to show our respect. 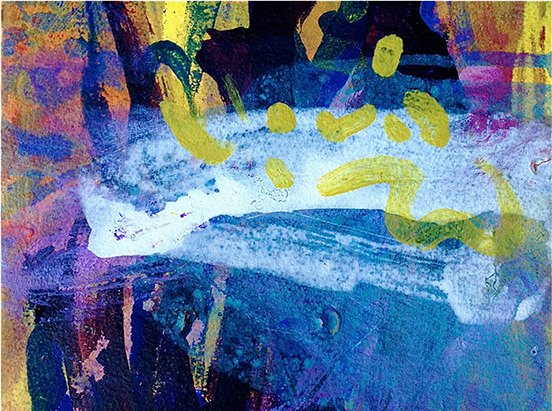 When we talk to somebody, we offer a cigarette as a peace offering, which will build trust observably. We thank our plumber with his fee and a cigarette, We serve a cigarette to a guest, suggesting "You are very welcome." A cigarette (a nice cigarette is better) is an external, material expression of a compliment. 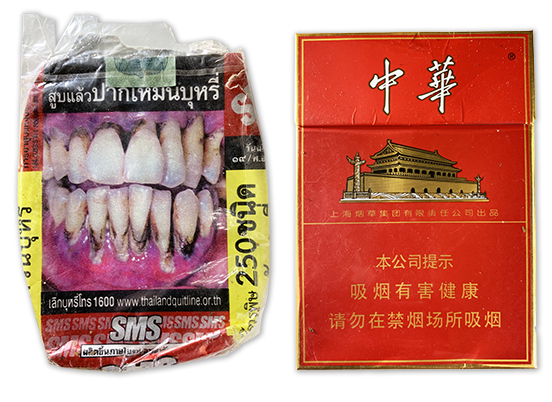 To our shy, not-good-with-words Chinese, cigarettes helps us talk. 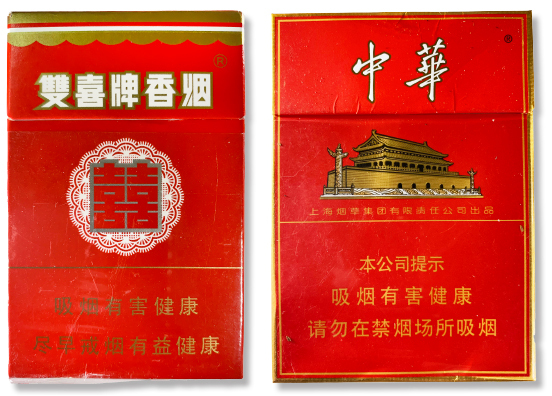 "In many places in China, the cigarette brand could also represent one's social status. It is kind of a cigarette version of "You are what you smoke." 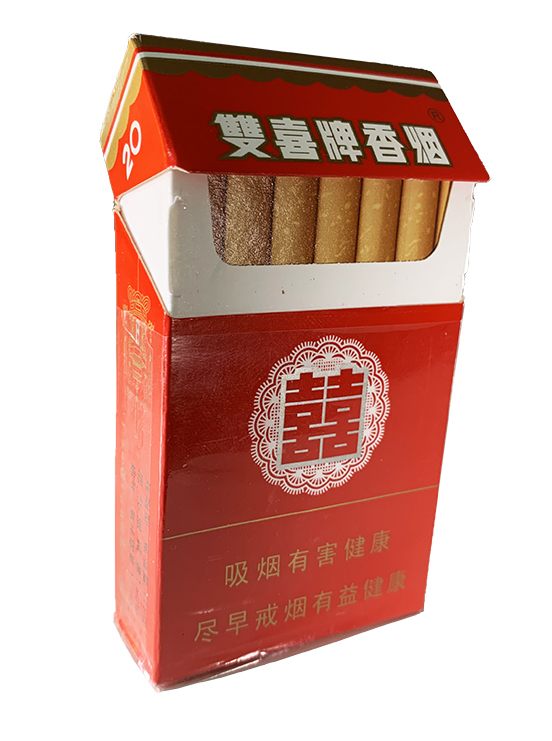 China has many kinds of cigarettes and a huge price gap between different cigarette brands while cigarettes in other countries have similar prices, some are even the same. 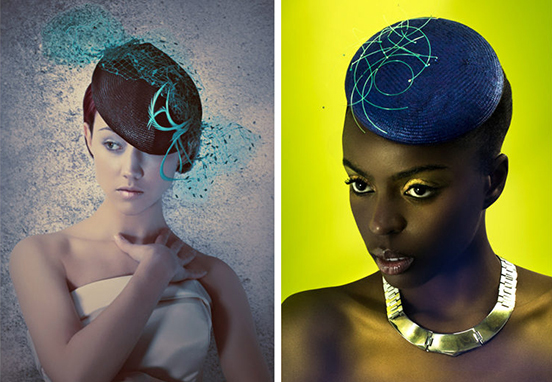 "Chunghwa, as a symbol of a high-end cigarette brand in China, has very high sales in China. 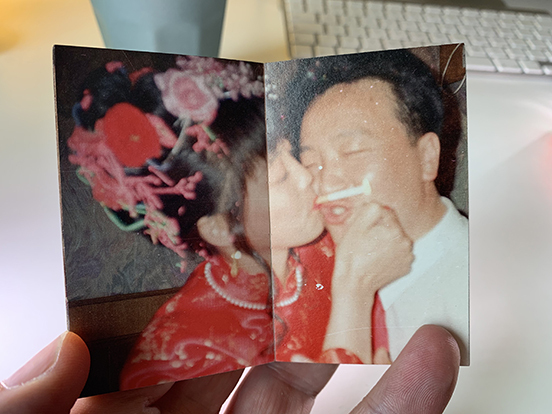 Anyone who carries a Chunghwa cigarette between his or her fingers is regarded as upper-class or a wealthy man or woman ... If you are holding a low-end cigarette, you are probably a nobody." Chairman Mao is said to have promised, as a result of the Communist revolution, Chinese people would have ample food, shelter and cigarettes. 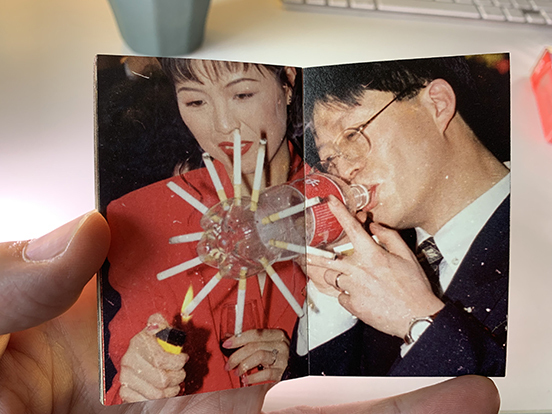 I chanced across this fiendishly clever photobook, which explores the way cigarettes are part of marriage celebrations, in the way flowers and food are abundant, so are money, champagne and cigarettes. 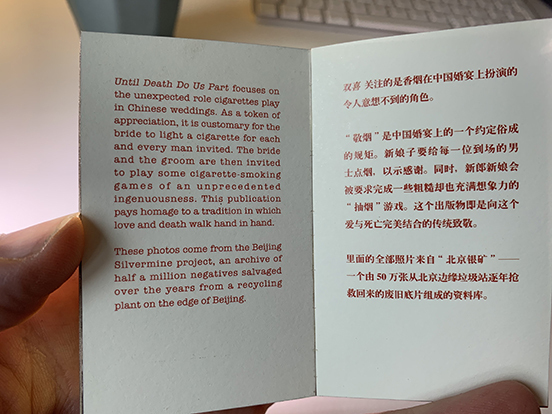 The book is inside a card container the exact size of a packet of Chunghwa, the book itself has cigarettes printed on the boards: you open the tiny book, you enter a foggy world of coffin nails.